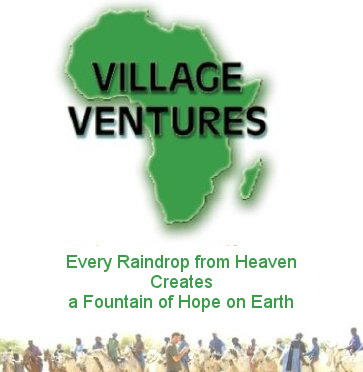 Village Ventures is now recognised as one of the main partners here in the commune of Diema. We are seeking to raise the bar, assisting in the alleviation of poverty, giving hope and a chance for change amongst the people once forgotten. It has to be said that your donations have helped us to achieve and change many lives here in Diema and it’s surrounding villages over the past years, there is still much to do and industry is one of the great problems we need to solve here, we have a long road to ride as all it not finished, so we hope that we can count on your continued support. The construction of 6 rooms is underway, they are being built to house both tourists and volunteers. The revenue will support on going and future projects. A rebuild of 2 small local rooms have just finished this will be to house the guardian and his wife during my period of absence. Computer course began last week at the centre for 6 young men who live 27kms from Diema and have to come and lodge in the town to go to the high school. We believe it appropriate to assit in their development enabling them a better chance for a better future. All schools have received a laptop, encouraging youth to gain basic IT skills and world knowledge via internet. The Exchange Programme is currently on hold for the moment awaiting youth training on computer and internet. We will then link our youth in with outher international schools who want to participate via internet. Youth training will continue as and when funds allow for solar panels as now schools have electricity. A visit to Mopti for a 5 day bio gas pilot project has just been funded by Village Ventures, it is hoped we can source materials required to set up our own bio gas programmes here in Diema. A minimum of 60 food parcels were distributed to the very poorest throughout the town. Thanks to the donations given by participants of the rally. Our two Christian churches received food parcels, sacks of clothes and school materials. Sewing machines were given to the Prison and Women’s Association, two individuals who struggle to survive otherwise. They will use their machines as a business having some one make clothes and sell them in the market. The volunteer programme began this year by 8 people from Italy donating white t-shirts and going by donkey and cart into the market area to clean up the garbage. It was a long and tiring day but all enjoyed the visit with the Mayor afterwards who rewarded the volunteers with cold drink. Other volunteers were able to paint rooms white in our hospital. We are grateful to have 2 individual sponsors who are supporting families via a small monthly donation. We now have a bicycle hire programme for those European individuals who choose to travel by local transport throughout Mali. Bicycles will be hired for use in our local area allowing tourist to visit local villages and volunteers. Medicine and gloves were donated to the hospital and our 6 clinics around the town. Ambulance has now been accepted as a rural clinic by the governor and the hospital director for use in the bush villages. It will service the poorest people allowing them access to a Doctor and free medication. Should the patient have more serious problems than our medicines ca cover, they will be transported free of charge to our hospital in Diema Town, thanks to the team from Slovenia for their wonderful donation of the ambulance and also to those who donated the medicines. A young girl almost blind went for treatment to Bamako. Glucoma was the cause, and one eye was already dead. We were able to source one year supply of medicine to save the other eye. Thanks to AHU Budapest. Spectacles have been distributed throughout the area to those who need and can read and write. A Computer was donated to an individual who has server disabilities, we felt it important to offer him a chance to change and learn new skills. He hopes to become a teacher of IT skills in the near futures. Our well programme is now moving forward little by little. Village Ventures now has it’s own water from it’s own well after 6 years and we were also able to dig a well for the Womans Association who want to plant garden vegetables. many thanks to those who supported us in this programme.